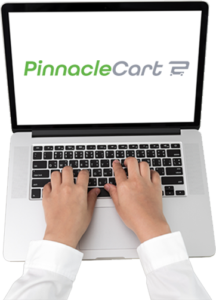 Pinnacle Cart has unique features and tools to manage product catalog efficiently. eCommerce store and launch it successfully. Our Pinnacle Data Entry Services are specially designed to upload and manage large volumes of data in an effective and timely manner. Moreover, we can perform a multitude of tasks for you such as bulk product upload, title and description writing, adding relevant images, product categorization and subcategorization, order processing etc. We will give you every reason to cherish our association by extending our full support. After a detailed discussion regarding your specific requirements, we will share our strategies with you and give you a clear roadmap as to how we will spearhead all the hurdles and challenges. We assure that our association won’t go in vain! Quality is something we don’t compromise on! Thus we have deployed a Quality Assurance team which regularly monitors the quality of work undertaken by our Pinnacle Data Entry Specialists. Our high quality services, cost effective rates and rapid turnaround time should be ideal reasons for you to hire Ace eComm for your Pinnacle Product Data Entry needs. We can extract crucial product data like SKU, UPC, title, description etc from a variety of sources such as hard copy catalogs, online catalogs, scanned images, PDF files, manufacturer’s website etc. We can add important product attributes such as colour, weight, size, dimension, brand name etc. Your customers would appreciate a 360 degree information of the products. We categorize and subcategorize your products so that your customers are able locate their desired products more effectively. Our Content Writers are adept at producing original, meaningful and SEO friendly product descriptions to keep the customers informed. We’ll assist you in creating your product page URL, product meta title and description. We can also add relevant images to create a visual edge. Our Image Editors can create, enhance, crop, resize and remove blemishes from the product images. We can help you with bulk product upload with the help of specialized bulk listing softwares and CSV files. Our experts can easily upload a huge number of products in a timely manner. Inventory Management will also be taken care by us! Our professionals will constantly monitor the product’s availability status via consulting the manufacturer’s website. Furthermore, we will ensure that out-of-stock products are listed as out-of-stock. We can assist you with order processing and order tracking to ensure a seamless delivery process. We’ll effectively use the upsell and cross-sell technique to feature a list of related items and accessories. This would remarkably increase sales possibilities. We can conduct a price comparison for your products by consulting your competitor’s websites. This would help you to quote the best prices to your customers.